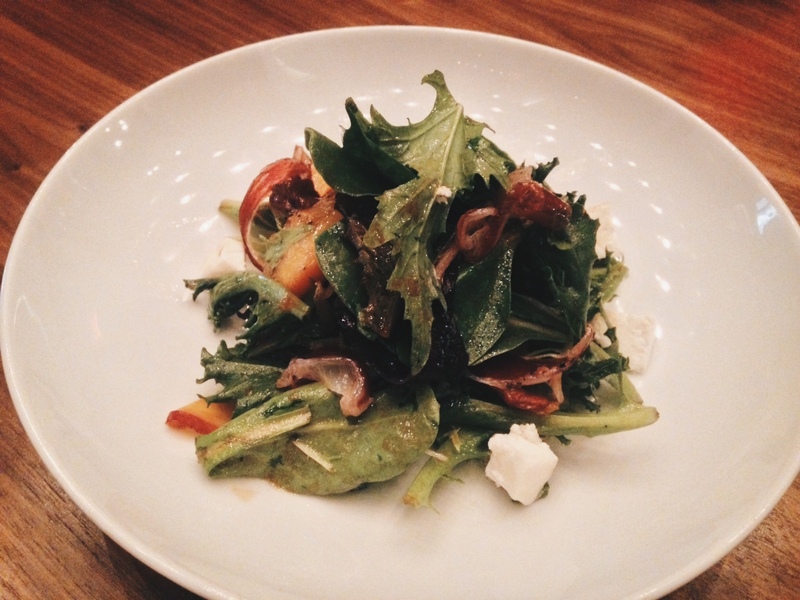 If you’re looking for a swanky, lively restaurant with delicious gluten-free food then Asellina should be on your list of places to eat at in New York City. At first glance you might overlook it due to its humble facade, but don’t let first impressions fool you. Just walk inside and you’ll be greeted by an electrifying and bustling atmosphere full of music, vivacious conversations and the tantalizing smell of warm bread, pizza and truffle oil. To your right you’ll see a yellow neon sign that says, “Happiness Dwells Here”. And how could it not? Offering a wide-range of gluten-free dishes like truffle mac and cheese, creamy zucchini risotto and much more, it’s easy for guests to leave feeling satisfied but excited for their next visit. 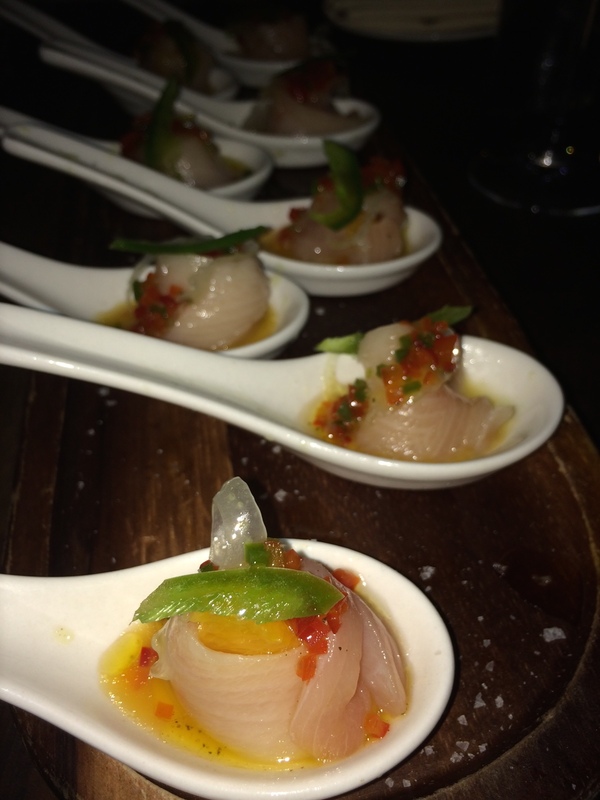 The hamachi is prominently featured, delicately prepared and presented on the spoon. It’s accompanied with spicy pistachio that brings a hint of heat and crunch and agrodolce which is a traditional Italian sauce that’s slightly sweet and sour. The blood orange offers a beautiful vibrant color that makes this dish oh-so picture worthy and a perfect start to your meal. I would like to personally thank whoever decided to grill peaches. The natural caramelization that occurs is absolutely a revelation and a whirlwind for your taste buds. The brunet cheese is a light goat cheese that’s very soft and creamy. If you don’t like goat cheese you may still like brunet because it’s not as intense of a flavor. The salty duck prosciutto, the soft, creamy cheese and grilled peaches are a trio that’s definitely not a crowd. I really enjoyed this risotto. 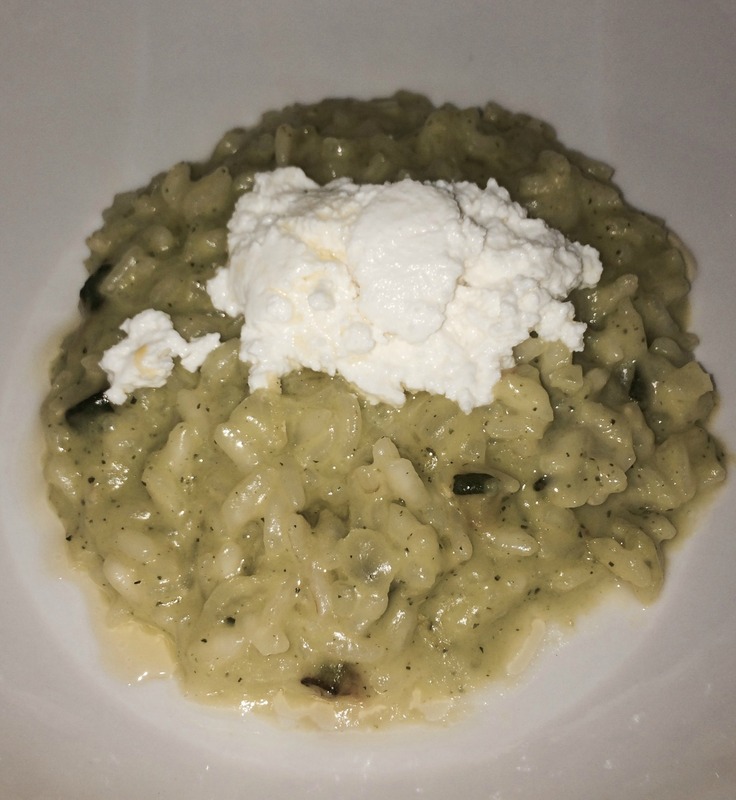 It’s the epitome of what a risotto should be (creamy) while at the same time it wasn’t as heavy as a traditional risotto. The sheeps milk ricotta was a light and fluffy addition that I truly enjoyed. The zucchini brought an earthy taste and green color to the dish. The fish was perfectly cooked. It was so light and flakey plus the skin had a fantastic crunch that was full of flavor. I really appreciate how Chef Andrea didn’t try to dress up the fish by adding sauces or too much seasoning. 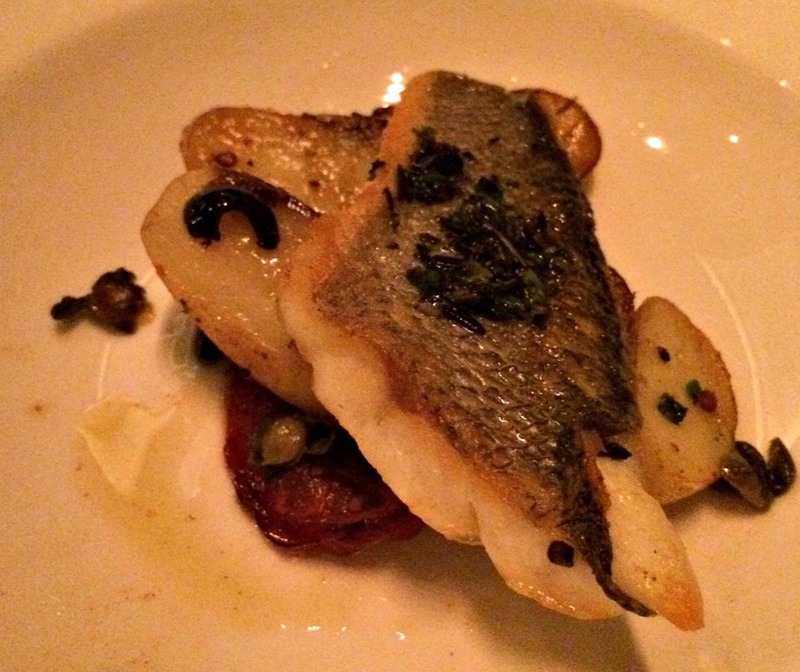 He kept the ingredients simple and straightforward to compliment the natural flavors of the sea bass. Thankfully dessert didn’t disappoint. 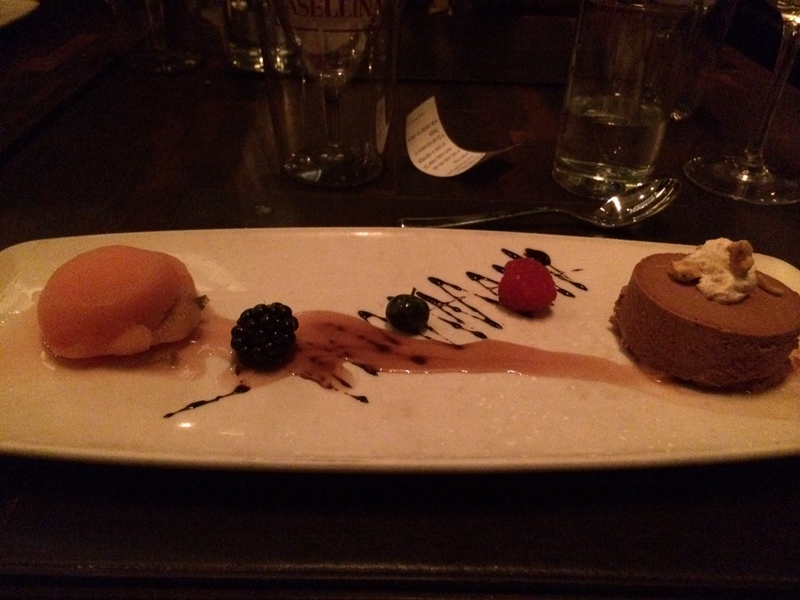 The chocolate semifreddo was deliciously luscious and light. The watermelon gelato was so refreshing and a good palate cleanser to transition from dinner to dessert. Fun Fact: When dining at Asellina don’t be surprised to see Lil Jon eating his favorite dish, the lamb burger. Or the Kardashian’s siting in a dimly lit corner discussing what new location they’re going to film their show at. Asellina is notorious for spotting celebrities. It’s at the foot of the Gansevoort Hotel which is infamous for housing celebrities plus it features a posh rooftop bar. Verdict: Delicious food, fantastic atmosphere and friendly, knowledgeable service. I would absolutely recommend Asellina to anyone who’s looking for a place to start their night, celebrate a birthday, or even a date. You can rest assured that Asellina welcomes gluten-free diners and is more than happy to accommodate almost any diet restriction. Chef Andrea Montabbio is a gem and he loves the challenge!